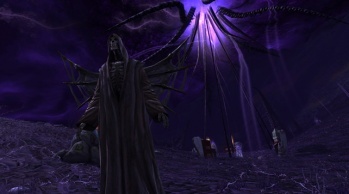 Trion MMO Rift is now more secure thanks to a hacker from the game's community. As with many MMOs, Trion's Rift has been under assault from the seedy underbelly of the hacking community trying to gain access to people's accounts since its release in early March. While these hackers are a thorn in Trion's side, it isn't bothered by all of them. An "ethical hacker" that goes by the alias "ManWitDaPlan" and works at a security firm by day found a loophole in Rift's servers, but instead of using it to cause trouble, he told Trion. After learning of it, Trion jumped to fix the potential exploit. ManWitDaPlan told ZAM it was a loophole that was "easy to miss" at first. He commended Trion for its swift response, saying it channeled Bruce Lee and hit the exploit right away, acting within two hours. It's a good sign that Trion is working hard to protect its customers. According to rumor, ManWitDaPlan received a special reward, perhaps a lifetime subscription to Rift, for his efforts. ManWitDaPlan said he'll "be around [Rift] for a while." Unethical hackers, beware!